My blogs been quiet for a while. I’ve been really busy with various new projects, both in our Residential and Student Living sectors. Our Student Living port-folio is growing rapidly now with live projects in London and Oxford at present. Other schemes in Coventry, Sheffield, Brighton and Nottingham are in the pipeline and well developed. I’ve also been developing a new strategy in terms of our ‘New Business’ work (Marketing and Business Development). It’s been a pretty positive journey over the last twelve months. 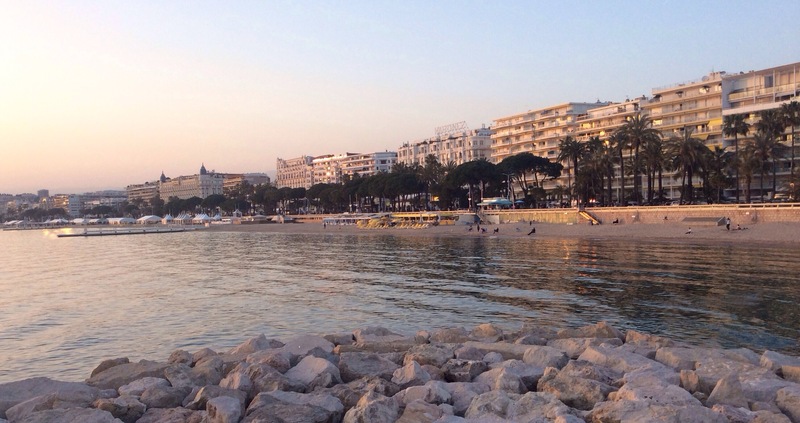 Last week I was over in Cannes for the annual MIPIM conference. This was my fourth consecutive year and I was joined by Board Director Jason Ainsworth, who hadn’t been before. It’s been interesting seeing the atmosphere change at MIPIM over recent years. This year was electric; there is no doubt that the property market is booming in the UK and confidence is high at present. Of the 22,000 delegates this year, over 5000 were from the UK. We attended a wide range of events and meetings across the week. From these we have a lot of new contacts and opportunities to pursue. We met some great new people, and saw many known contacts too which was equally useful in terms of catching up. Business is all about people and relationships. 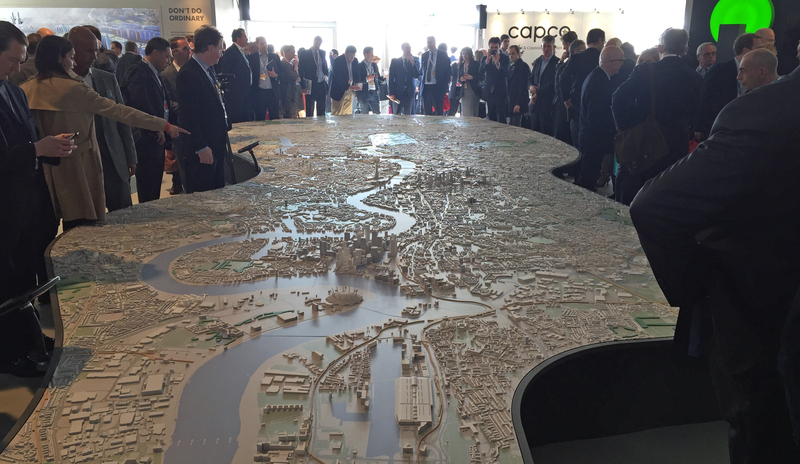 MIPIM is the perfect platform to meet people and develop relationships that last. 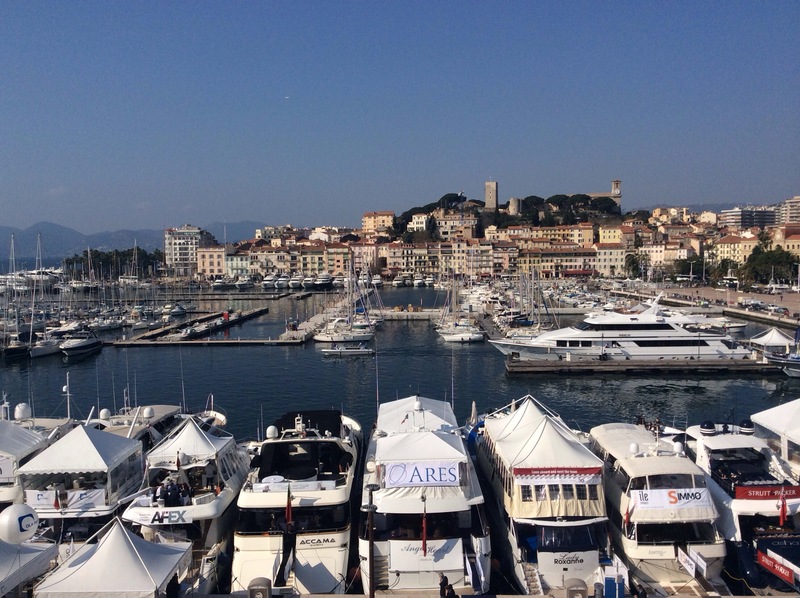 People who haven’t been to MIPIM are still quick to mock it with comments like; “did you enjoy your week in the sun…while we were all working“. I guess you’ll never really understand it unless you experience it. MIPIM is a whole week of constant networking. That involves eating nice food and drinking coffee, wine and champagne in the sun. 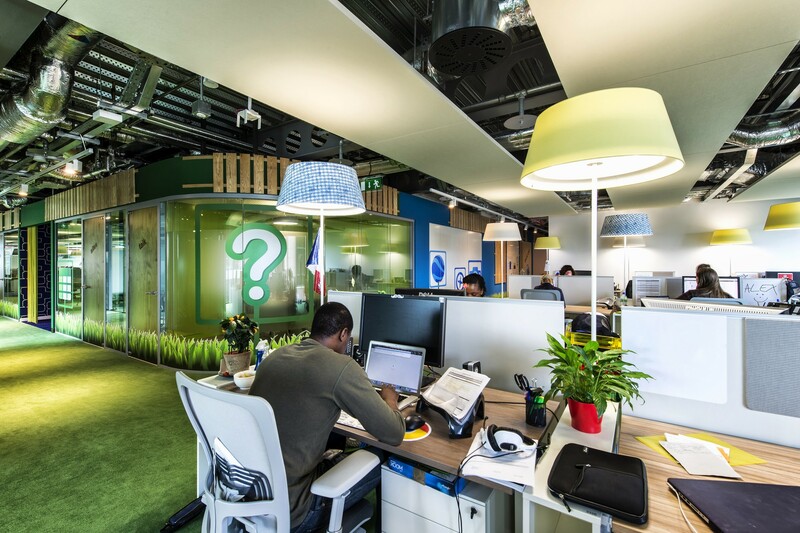 The location and environment creates a unique, relaxed atmosphere where people talk more openly than they would do in the relative formality of day-to-day business. Where else could you meet with Central Government representatives, chief executives of local authorities and Housing Associations, CEO’s/ Chairs of major Development and Construction companies, leading sector property agents, the full spectrum of property related consultants and many more people in between. MIPIM is totally unique. The new NLA London model was unveiled in the London Pavilion. But MIPIM is intense and tiring. It takes a certain sort of person to be able to do it and you need to be thinking all the time about how you and your company can relate to the people and opportunities you are discussing. You also have to remember a lot and make sure you record what’s been discussed to follow up on. You need to be on top of your game; inside knowledge and contacts are what you need to have. It also involves being on your feet all week! I have a Jawbone activity tracker. Last week I walked 55 miles and had an average of 5 hours sleep each night. That’s no holiday! In terms of investment, is it worth it? In my view; Yes. If you host a table of 10 at a property dinner in the UK, you’d pay £1500-2000, for around 3-4 hours of networking. MIPIM is a full week of this and significantly cheaper to be at by comparison. I was invited to a breakfast, lunch and dinner everyday + other events and meetings in between. The end of last week was a real highlight for me as we were invited to a private BBQ at Tom Bloxham’s Maison Bulle (Bubble House) in the mountains. A few years ago I met Tom Bloxham from Urban Splash at MIPIM. I knew any business relationship with Tom would take a while to develop and I’d need to do something significant to attract any attention from him. In the second half of 2014 I had various meetings with Tom and introduced him to some of our developer and investor clients who I thought could work with Urban Splash. This has been a really positive process, with a unique and very real opportunity currently emerging from this dialogue. It’s been good to get to know Tom and gain an insight into the incredible Urban Splash story (which Tom tells very well!). Back to the house; Antii Lovag was the creator the the Bubble House concept; it’s a series of interconnecting concrete dome structures, with circular punctures creating doors and windows. Other than the floor, there are very few flat surfaces in the house. The house also fuses with the rugged rocky landscape. Large rocks puncture the house internally and externally, so the ultra modern smooth domes wrap around the surface of the mountain and contrast with the rough texture of the rocks, both are the same colour. Water is present throughout too; internally the main dome has a water feature/ pool with bridges over it. Externally a large infinity swimming pool and an even larger cold water lake surround the house. 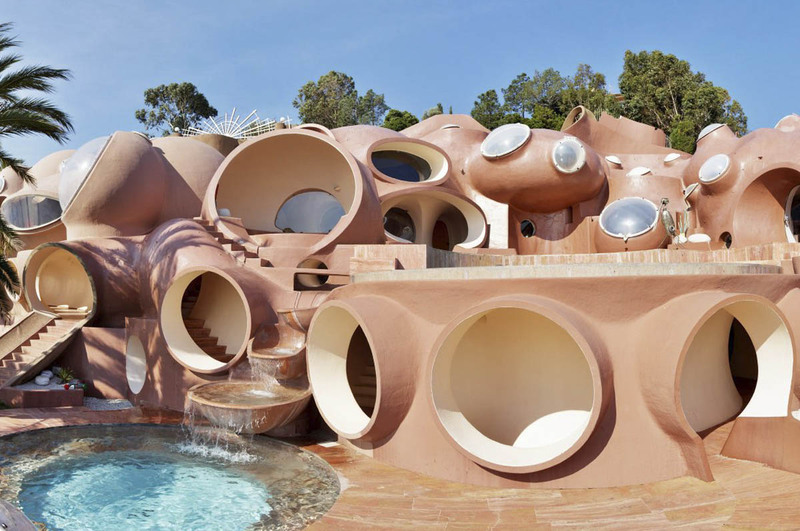 One of Lovag’s more commonly known houses was built for the French Fashion designer Pierre Cardin (see image below), but Toms house is where is all began and indeed where Lovag lived (in a small domed annex house in the grounds) until he passed away last year. Toms house in France is shrouded in secrecy. Very few photos are in the public domain and Tom rightly wants to keep it that way (so no photos here I’m afraid). The house was incomplete when Tom bought it. Over the years he has completed the house, working with Lovag, but also making his own mark from his Urban Splash experiences. The building seems to stay true to the spirit of the original designs, but has a contemporary twist in places. It also has an Urban Splash feel. It’s a hugely successful synergy. The house was an incredible experience. I’ve never seen anything like it and it inspired me as an Architect. It’s is proof that anything is possible (or “Tout est Possible” as Lovag would say). So back to Blighty. It was cold and slightly foggy as I headed back into London today. There are lots of follow-up’s to do now from last week – and that is the really important bit in terms of getting real value from MIPIM. It’s been another busy and exhausting, but enjoyable and productive, trip to Cannes for me. This is my third consecutive year at MIPIM and I’d say this trip has been my most successful to date in terms of outcomes. The really important bit now is the follow-up’s. The atmosphere has been better as well; London is booming and there are strong signs of a return to property investment and development in the regions going forward. 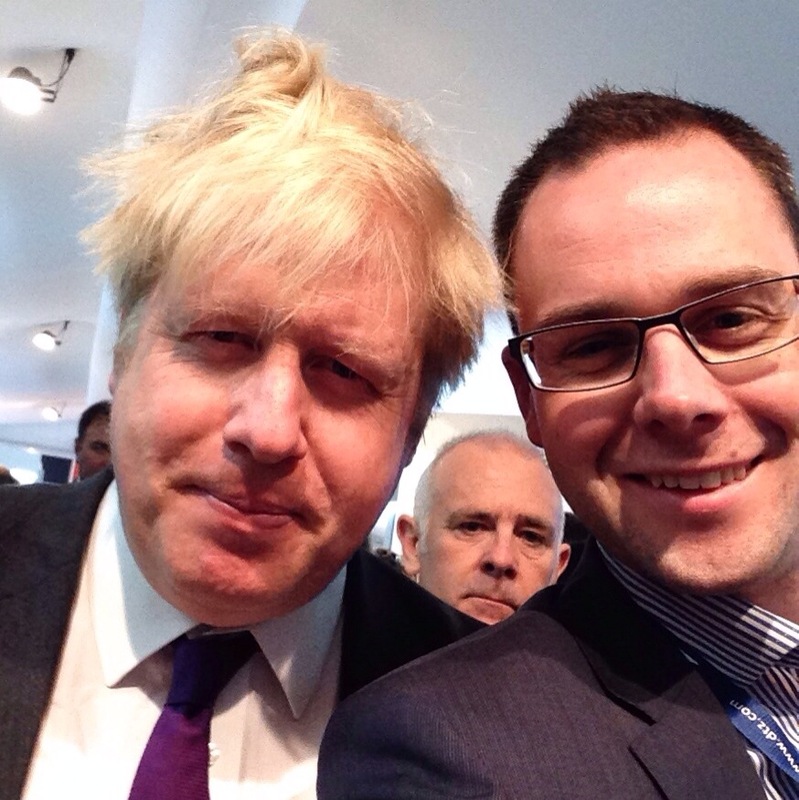 – Getting a selfie with Boris Johnson! – Not sure who the Photo-bomber was!? 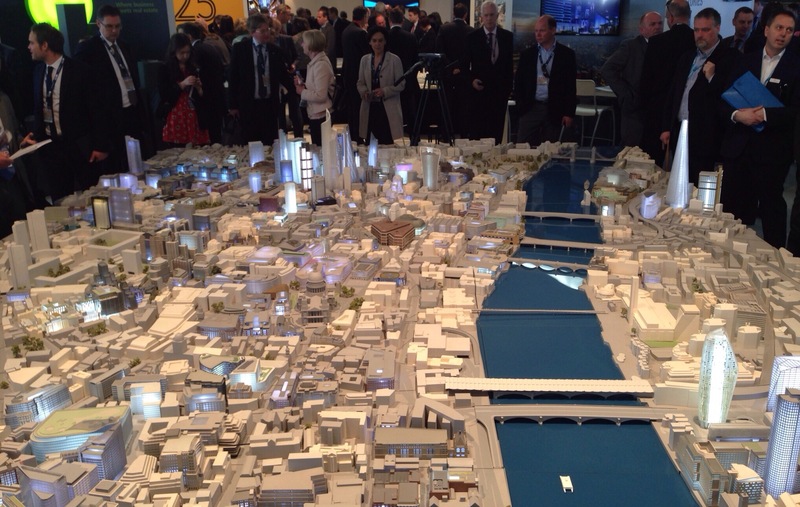 You can see the MIPIM keynote address by the Mayor of London by clicking here. – The excellent Shedmasters lunch up in the hills. – Dinner with friends of Innes England and Cricket legend Derek Randall. 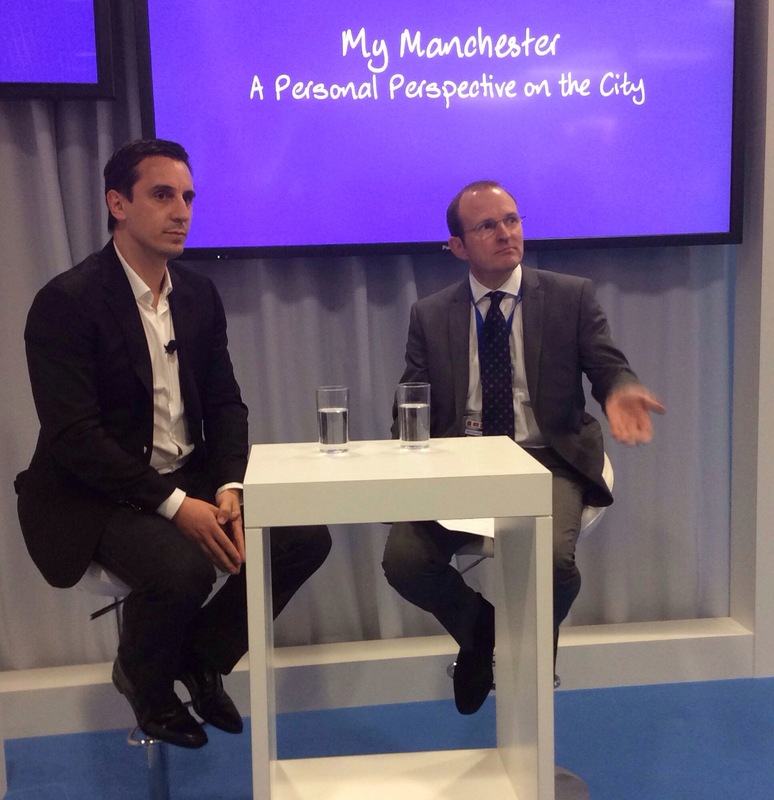 – Meeting footballer, turned Property Developer, Gary Neville on the Manchester stand. – Lunch with Willmott Dixon and Louise Brooke-Smith, who will be appointed global President of RICS later this year. – Getting some good Twitter coverage in terms of retweets. – Finding the ‘New London’ App recently launched by the NLA and Estates Gazette. It’s an interactive map of all London boroughs and provides key information on all major developments – a very useful tool to have. You can download it by clicking here. 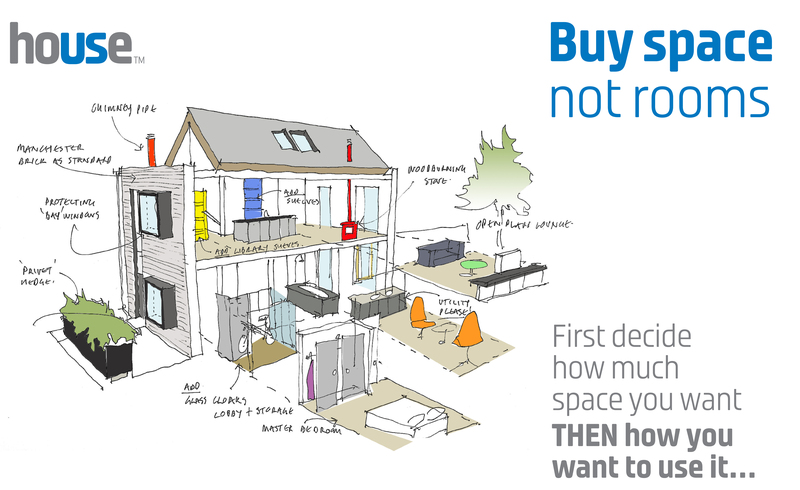 One of the most interesting points I picked up this week was from Tom Bloxham of Urban Splash. I spoke to him a few days ago and asked “what does the future hold for urban living?” He explained that during the Industrial Revolution the factories dominated the cities and that peoples class/ wealth determined how far out of the city they could live. 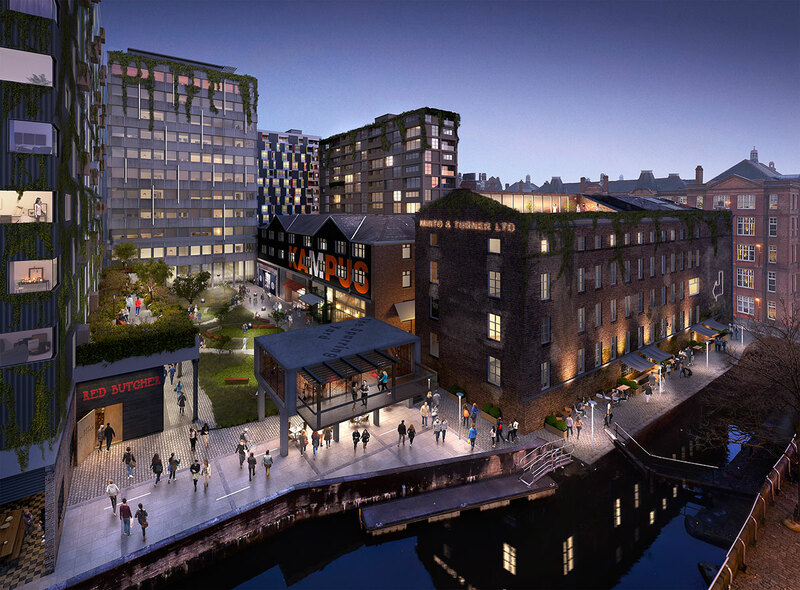 Today, thanks to cities like Manchester, people are living in the city centres again. This has wide ranging economic benefits. For city living to be sustainable long term, a greater degree of diversity is required to provide housing for ALL ages/ needs, this should include older people and of course young families. A key component missing in most regional City centres these days is schools. If these can be provided, then the diversity and economy of our cities will continue to grow.